11:31 AM Posted by Tony A. 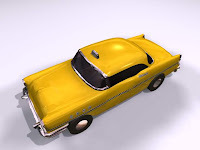 New York city's Taxi design 3D. Simple touch of create out door for gaming and design resources. With smooth lines makes your design more real.Download and enjoy.